The supermarket's profit before tax increased by 2.5% to £405m for the half year ending 29 September, helping its grocery market share grow to 16.6% for the year ending 30 September according to research from Kantar. The last time it was that high was March 2003. Profits were driven by a 1.7% increase in like-for-like sales in the half year on the back of its Brand Match price-matching scheme. 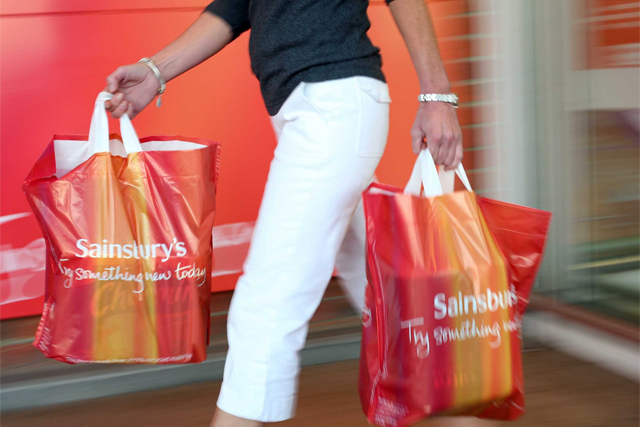 Sainsbury's has now printed nearly 250 million Brand Match coupons since launching the scheme a year ago, with more than 50% of coupons printed proclaiming branded goods were actually cheaper in Sainsbury's than Tesco and Asda on the day of purchase. Justin King, chief executive of Sainsbury's, claimed the retailer's numerous price-focused marketing initiatives meant it was well positioned to help customers fulfil its 'Live Well For Less' promise. King said: "Our share of the grocery market is the highest for almost a decade at 16.7%, with 31 consecutive quarters of like-for-like sales growth. "We continue to succeed by remaining focused on delivering quality products, best-in-class service and value for our customers, without compromise. Brand Match, Nectar and our highly targeted coupon-at-till all reinforce our price competiveness." The supermarket also revealed it was 85% through the relaunch of its "by Sainsbury’s" own-brand range, which is being rolled out to 6,500 products by April 2013. Sainsbury's online offering is continuing to grow with its grocery orders now regularly exceeding 165,000 orders a week, while its convenience business is expanding aggressively, with one to two stores being opened each week. The retailer is seeking to capitalise on its momentum with initiatives including its I2C marketing joint venture with Nectar owner Aimia, the launch of its own MP3 download service, and acquiring a majority stake in the Anobii e-book platform.